What role had graphic design played on political propaganda and what role does it continue to play? Throughout history “propaganda art, iconography and graphics” have been used in totalitarian governments such as Nazi Germany, Fascist Italy and the USSR “to sell their message with great effectiveness” (Cruzine, 2010). As a result of this the word ‘propaganda’ received a negative image and it continues to have common synonyms such as “brainwashing” and “disinformation”, defined in thesauruses and dictionary definitions like “deceptive or distorted information that is systematically spread”(Seidman, 2008:7). Propaganda was “more effective when it was reinforcing existing values and prejudices than when it was attempting to manufacture a new value system” (Welch, 1993:51), therefore in modern politics all the politicians do is to reinforce ideas that the public already have. 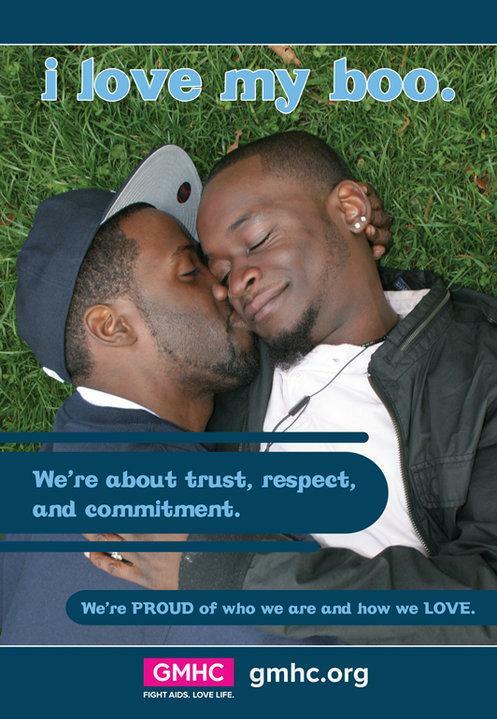 However, we know it by different terms such as advertising, marketing and public relations (Cruzine, 2010). “Propaganda is as old as a human society. The earliest signs of it can be found in the times of the Roman Empire and ancient India.” (Cruzine, 2010) Throughout history, propaganda has been successful and unsuccessful, because it depends on public opinion and how the government perceives this. Propaganda before the 20th century did come in the same form as now, because it had visual aids such as cartoons and writings of prominent people. After the printing press was invented in approximately 1450, in less than 75 years there were printing centres in over 200 major cities around Europe; this meant that new ideologies were made available in many ways, as never before (Edwards, 2005;15)(Holborn, 1942;123). 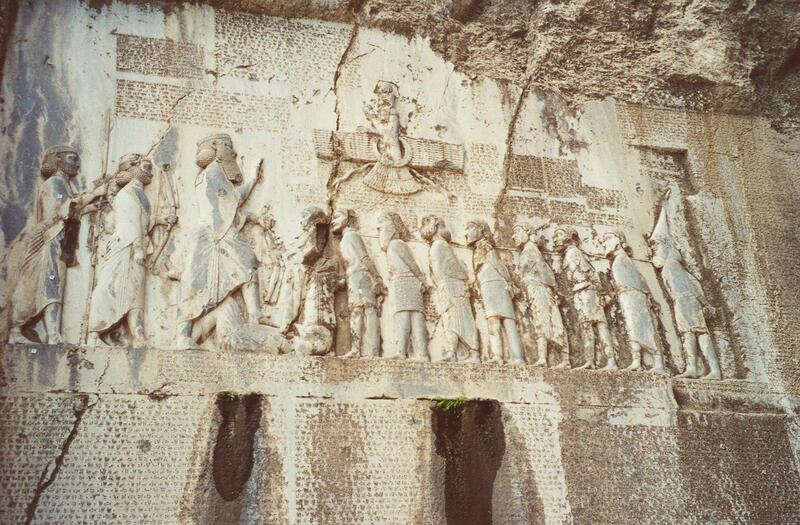 The earliest signs of propaganda can be found “as far back as reliable recorded evidence exists” (Wikipedia, 2011), which goes as far back as c.515 BC with the Behistun Inscription that documents Darius the First’s rise to the Persian throne. Many historians believe that this is an early example of propaganda (Nagle and Burstien, 2009:133). 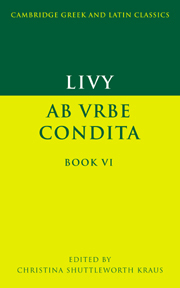 The Romans mastered propaganda writing; the works of Livy (c.59BC-17AD) are masterpieces of pro-Roman propaganda (Wikipedia, 2011) because he wrote works about the Roman Empire in a glorifying way, so that anyone who read his book Ab Urbe Condita would not think of Rome in a bad light. “The great 20th-century political cartoonist Sir David Low described Hogarth as “the grandfather of the political cartoon”” (New Humanist, 2007). Even though Hogarth did not create the template that is used today, his work contained all the same elements. 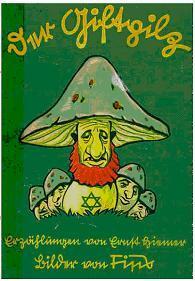 His cartoons consisted of “images for didactic as well as satirical purposes, the utilisation of humour in a visual way to press the point home and the mass production of those images so that they could do their polemical work among as many people as possible” (New Humanist, 2007). 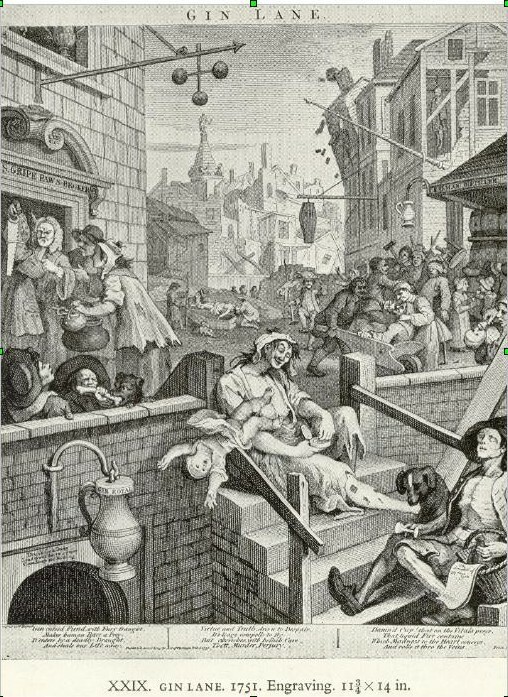 Hogarth’s cartoons were a visual aid for people to understand politics of the time and within his cartoons there were many messages that influenced the way the public thought about the government and its behaviour. During the 20th Century propaganda really evolved into propaganda as we know it today. It was successfully used both before and during the World Wars. Hitler and the Nazis understood that “propaganda must address itself to large masses of people and attempt to move them to uniformity of opinion and action” (Welch, 1993:50) which is why their propaganda was one of the most effective throughout history. 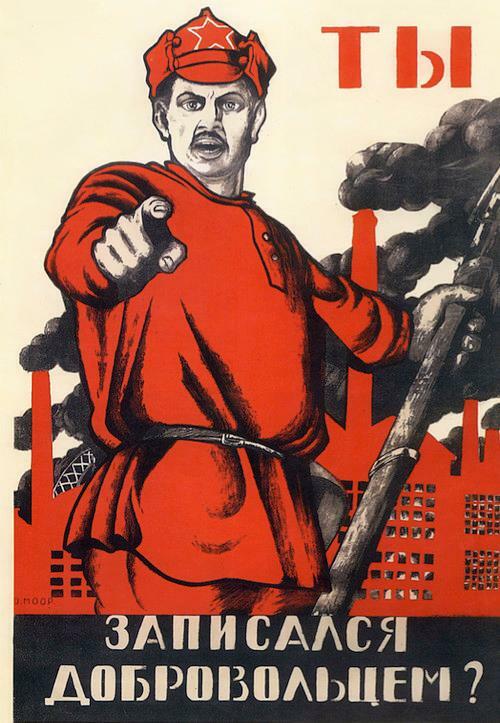 Furthermore, “Modernist art movements were influencing propaganda posters from the early 20th century” (Blogspot, n.d.). 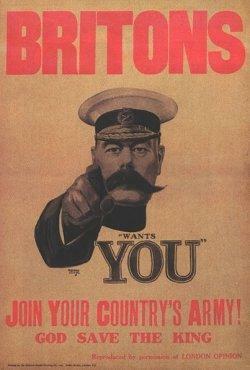 The US propaganda posters for WW1 usually employed “a visual language similar to earlier works”, for instance their “I Want You For US Army” poster of 1916 looks very similar to the British “Lord Kitchener Wants You” poster of 1914. However, the US propaganda posters for the Second World War “took on a new direction” as they were clearly influenced by modernism, which meant that the posters were more intriguing and thought provoking (Crestock, 2008). 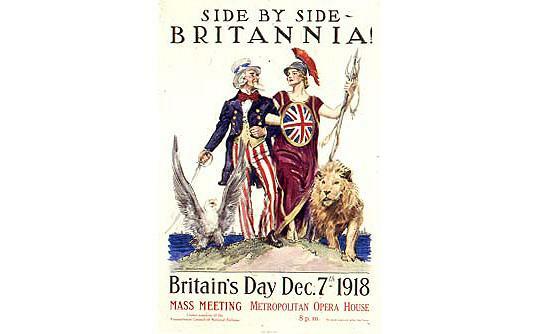 British propaganda during the First World War was very creative because the secret British War Propaganda Bureau (WPB) got “twenty-five leading British authors…to discuss ways of best promoting Britain’s interests during the war” (Spartacus, n.d.). This was very effective; they “published over 1160 pamphlets during the war” (Spartacus, n.d.). The posters for WW1 were visual and mainly aimed at men until 1916, when conscription was established; the graphics in these posters are not as vivid and incisive as the Second World War posters. 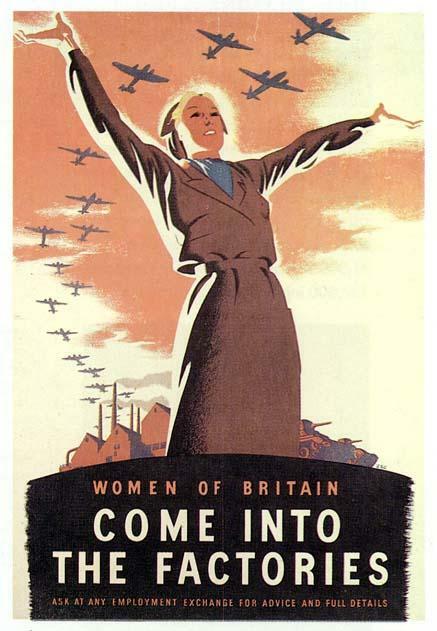 The Second World War propaganda posters did not work alone because the Government put in “a coordinated campaign together with films, radio broadcasts, pamphlets and articles and advertisements in newspapers and magazines”, but if it had not been for posters then the message would not have got across to the public (St Andrews, n.d.). Some of the posters for this war were slightly influenced by Constructivism because mechanical objects are combined into abstract mobile structural forms. The Nazis distributed their propaganda through books, “printed leaflets and posters [which] remained the major media for propaganda graphics. 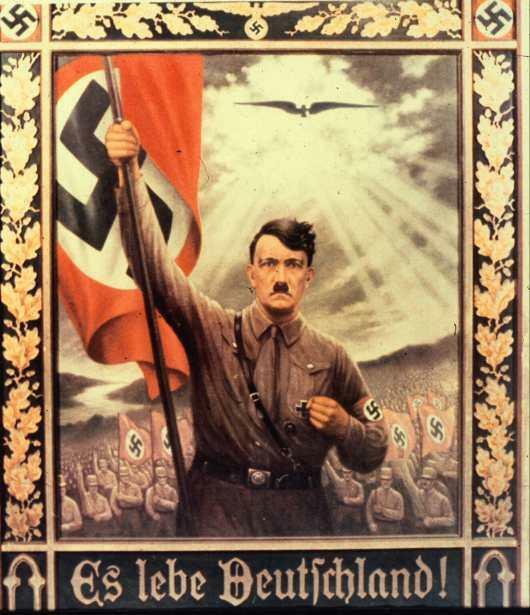 All the artists and painters had to receive approval from the Ministry before publishing their works in Nazi Germany” (Cruzine, 2010), which meant that all of the work distributed followed Nazi ideology and not another. The Nazis were influenced within their artwork by Bauhaus techniques, including the way that their work is structured. Propaganda is still in use to this day but it is known by different terms, due to the negative connotations that have been attached to the word ‘propaganda’ through history (introduction). Harold “Lasswell referred to “propaganda” as merely a “tool,” to be used either for good, bad, or amoral goals – similar to advertising or public relations” (Siedman, 2008:7). Therefore, “anything designed to publicize ideas, organisations, or people can be deemed “propaganda”” (Seidman, 2008:8-9). “There is an extremely thin border between propaganda concepts and, for example, those of advertising. That is why it is really hard to say whether posters of Coca-Cola or McDonalds you see every day, should be treated as propaganda or advertising.” (Cruzine, 2010). According to asylum seekers from Eastern Europe, China and the Soviet Union who have emigrated to America, American propaganda “is, undeniably, the best in the world.” This is because where they came from the propaganda “was too obvious”, so it did not appeal to the masses, therefore “the people just tuned out” and “hardly anyone believed in the stuff”. But over in America “it relies entirely on emotional appeals. It doesn’t depend on rational theory that can be disproved: it appeals to things no one can object to”(Pure Water Gazette, n.d.). The main type of propaganda that the world sees is political propaganda as it “seeks the systematic enlightenment necessary to win” (Calvin,1998). 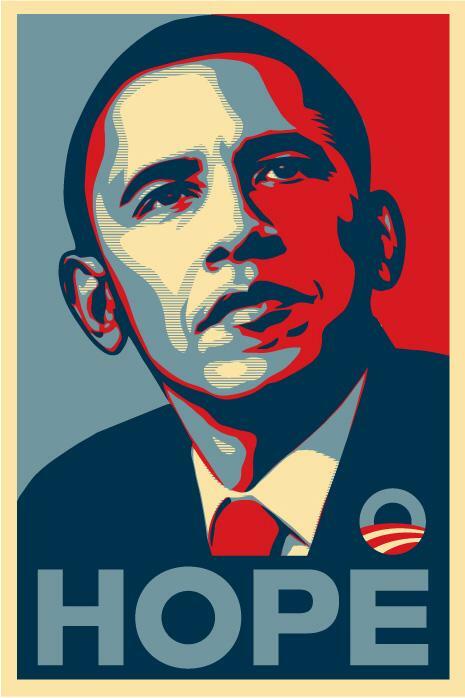 “Posters have been one component in propaganda or mass persuasion campaigns at election time; propaganda has been the means to influence public opinion about candidates and parties, and effect desired voter actions”(Seidman, 2008:237). 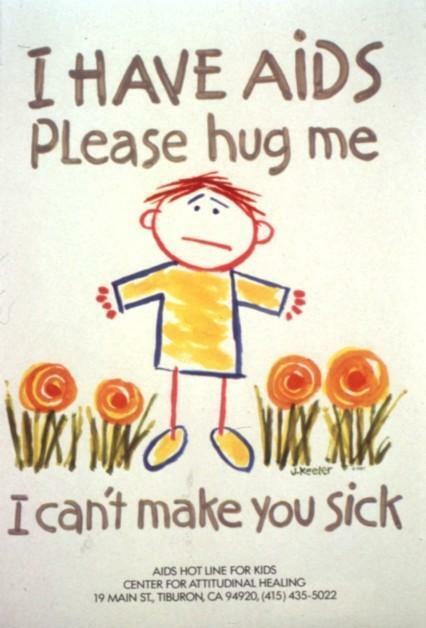 They are really effective because they are “designed to elicit emotional reactions” (Seidman, 2008:236). 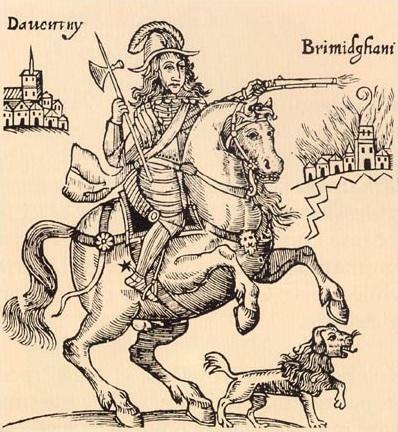 “Many of the graphic designers in the bellicose countries believed in the message they were delivering, and used a variety of modern techniques in their designs” (Blogspot,n.d.). This is true for many of the designers who design politically, whether it is for the government or not. “Dissent is an essential part of keeping democratic societies healthy” and designers “have used their skills to communicate their dissent throughout history and are doing so even more now since the birth of the Web and the increasing ease of disturbing posters and other printed materials”(Glaser and Ilic, 2006:Blurb). 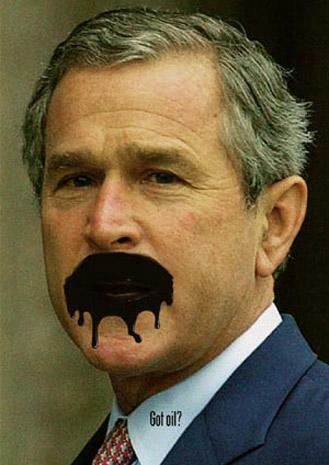 For art to be successful in dissent it has to have “at least three characteristics: It is shocking, it is clever – even funny in a grim sort of way – and its meaning is instantly intelligible. And perhaps it shares one other characteristic: It is, or at least it seems to be, samizsdat, dangerous, forbidden” (Glaser and Ilic, 2006:221). Propaganda has evolved over the years into a more sophisticated technique that influences public opinion, mainly through an emotional appeal, because that is the most effective way of influencing people. In modern propaganda graphic design has played a major part because any piece of advertising can be considered as propaganda. Furthermore, modern technology has made it easier for artists to dissent and get their message across to the world. 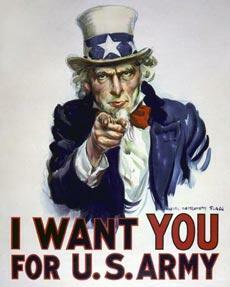 Successful propaganda incorporates specific techniques and principles that can improve the effectiveness of the design (Noupe, 2010), which means that the public will buy into product that you are selling. Due to this, every country in the world uses propaganda, but it is most likely to be marketed under a different name. Nagle, D. Brendan; Stanley M Burstein (2009). The Ancient World: Readings in Social and Cultural History. Pearson Education. p. 133. ISBN 978-0205691876. HOLBORN, LW (1942) Printing and the Growth of a Protestant Movement in Germany from 1517 to 1524, Cambridge University Press. The greater number of details you check out in the field of multilevel marketing, the simpler points will become for you. A well informed online marketer can be a productive marketing expert. To sponsor a lot more people into multi-level advertising, deal with them like a enterprise connection. Explain them plainly exactly what the work is comprised in, and stay genuine about how exactly a lot you will be making. Get them work with you to get a week to convince them if possible. A single idea that a lot of people recommend as a means to increase the degree of internet site advertising would be to transmit telemarketing advertisements as a method of advertising. Some require that this is a eye-catching promo concept. Take advantage of this method to help enhance your advertising rate while using reviews.